Kurt Gödel was a brilliant mathematician and philosopher, whose Incompleteness Theorems made him one of the most important mathematicians of his time. However, he also suffered from poor health, beginning with an episode of rheumatic fever at the age of six. 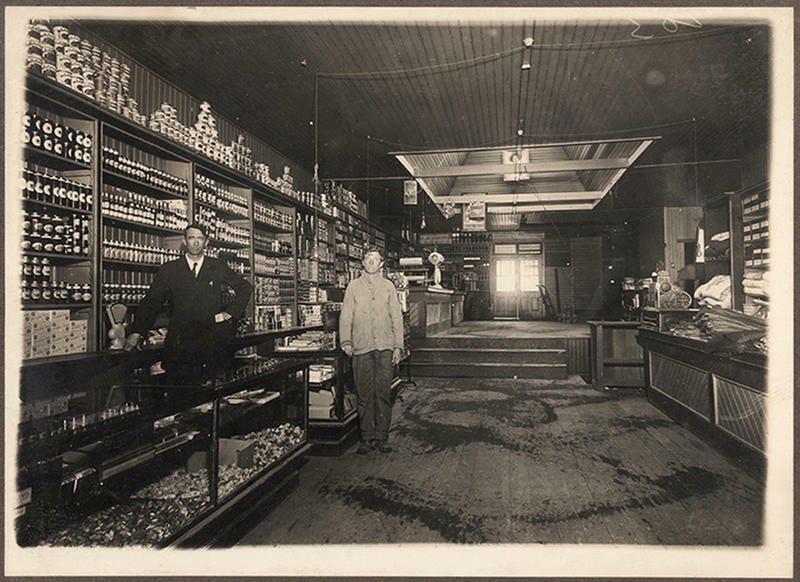 He remained convinced he had never fully recovered and was known for being paranoid, anxious, and depressed. He suffered several nervous breakdowns throughout his life. Gödel was born in Brünn, Austria-Hungary (now Brno, Czech Republic) in 1906. At 18 he began his intellectual career studying theoretical physics, mathematics, and philosophy at the University of Vienna. In 1924, Vienna was a thriving intellectual hub, and he was surrounded by a group of well-known thinkers that composed the famous Vienna Circle. 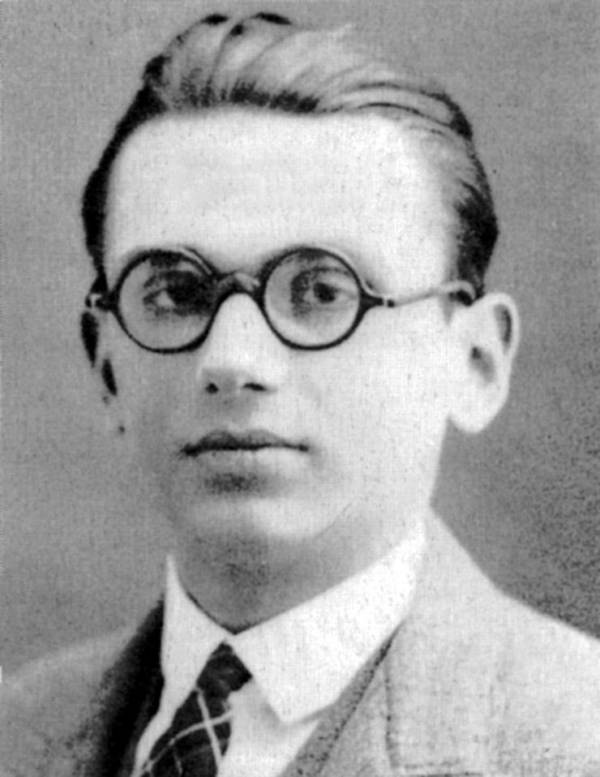 Under the supervision of one of the leaders of the Vienna Circle, Hans Hahn, Gödel completed his doctoral dissertation at the age of 23. In it, he argued that the set of formal mathematical systems known as first-order logic can be proved to be true through a system called formal deduction. Despite his brilliance, Gödel never felt that he fit in with the Vienna Circle, since his theistic beliefs clashed with the popular ideas of logical positivism, which argued that the only real knowledge is that which can be demonstrated empirically. Gödel argued that an axiom statement that is taken to be true can never truly be proven or complete within its own system. In any given system, at least one axiom must be false or unproven. This theorem made him internationally famous, and he began giving mathematical lectures around the world starting in 1933. He gave his first lecture in the United States that year, where he first met Albert Einstein. 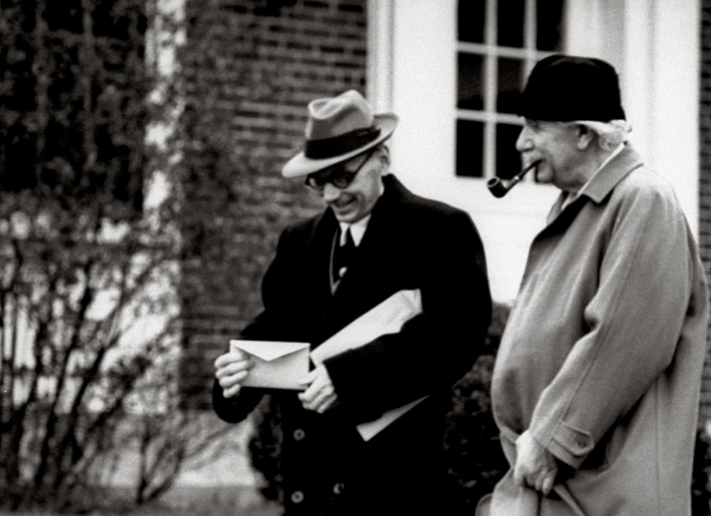 The two struck up a close friendship that continued until Einstein died in 1955. However, while Kurt Gödel continued to tour and lecture, his mental health was becoming increasingly unstable. In 1938, he had barely returned to lecturing after suffering from a particularly bad depressive episode when Nazi Germany annexed Austria. Unable to secure a position at the University of Vienna and facing conscription into the German army, Gödel married his longtime girlfriend, a dancer named Adele Nimbursky, and move with her to the United States. Einstein helped recommend him to a position at Princeton University, where he began teaching at the Institute for Advanced Studies. Throughout the 1940s, Gödel settled at the university, teaching and continuing to publish his mathematical theories. He became a United States citizen in 1947, and continued to work at the Institute, eventually becoming a full professor in 1953. Throughout the 1950s and 1960s, Gödel turned his attention from mathematics to philosophy, publishing several papers on Platonism and the belief that mathematical systems can provide descriptions of even abstract objects. Although his philosophical views were never as widely accepted as his mathematical theorems, Gödel remained a well-respected mathematician and professor, being promoted to emeritus professor at Princeton in 1976. Despite his successful career, Kurt Gödel’s mental health never seemed to stabilize. Towards the end of his life, Gödel’s paranoia only grew. He became very suspicious of all food, and was convinced that someone was trying to poison him. He refused to eat any meals that had not first been tasted by his wife. However, when she became ill in 1977 and had to be hospitalized for six months, Gödel simply refused to eat anything at all, effectively starving himself to death. He died on Jan. 14, 1978 of malnutrition, weighing only 65 pounds.